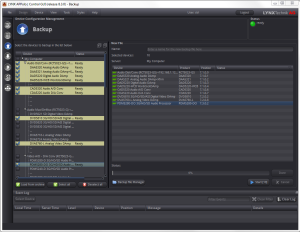 User Management utility to configure user access and specific permissions in a system. Also includes a fully featured Backup and Restore utility. 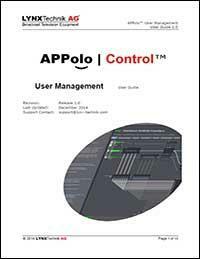 The APPolo User Management Guide describes the new and much simplified way of automatically connecting a LYNX APPolo GUI to all LYNX Servers in a network. This guide also explains the new possibilities of user access control that make the APPolo GUI an even more flexible tool to provide tailor-made UIs for different applications and operation situations. 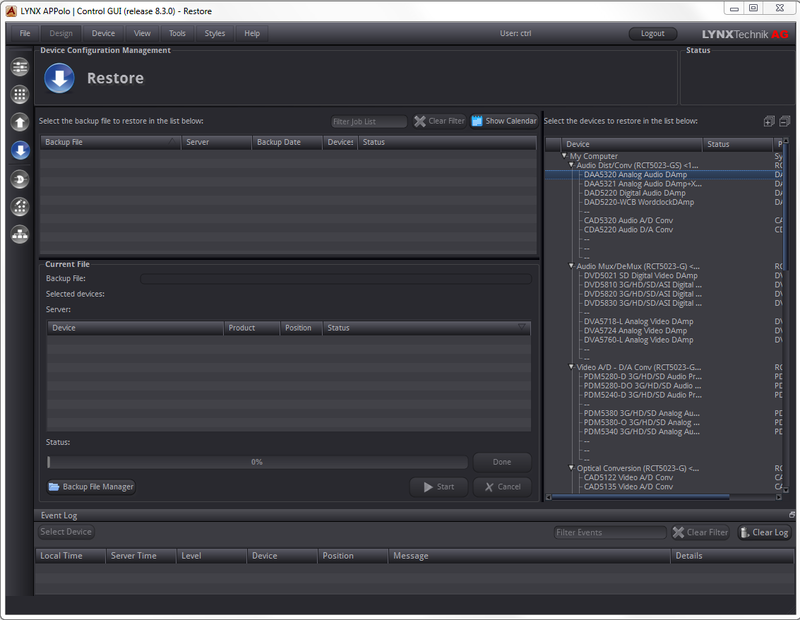 This can be used for complete system backup, or can be tailored to any part of the system down to an individual module. Along with the obvious need to store a backup for security reasons in the event the system of part of the system has a hardware failure this utility can also be used as an operational tool. Often a system will be configured and setup for a specific production, and that system is required to shared between multiple applications needing different configurations. 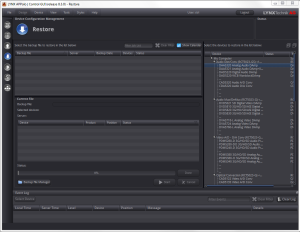 Simply take a backup of the system settings for one configuration and then restore those settings the next time the system is needed for that specific application. 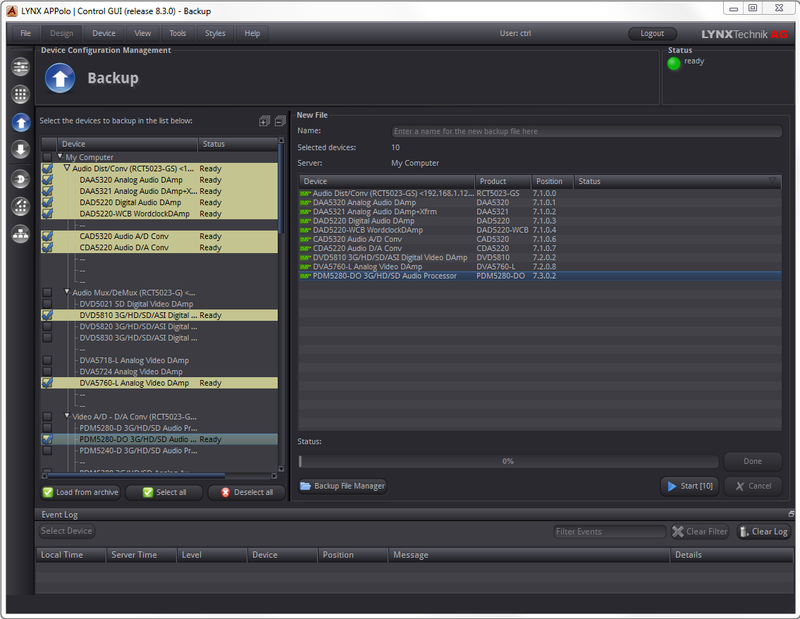 Both of these software utilities are combined into one package, ordering information below.